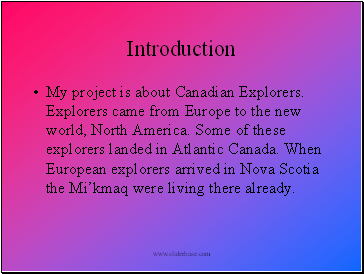 My project is about Canadian Explorers. Explorers came from Europe to the new world, North America. 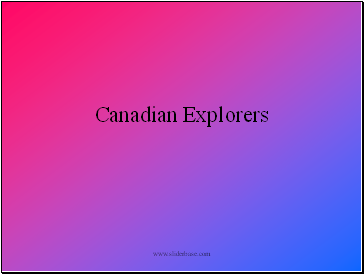 Some of these explorers landed in Atlantic Canada. When European explorers arrived in Nova Scotia the Mi’kmaq were living there already. Vikings were fierce pirates who terrorized Europe from the late 700s to about 1100.During this time Viking sailors also explored the Atlantic Ocean. 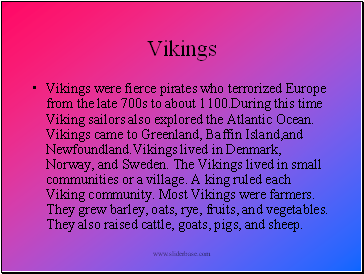 Vikings came to Greenland, Baffin Island,and Newfoundland.Vikings lived in Denmark, Norway, and Sweden. The Vikings lived in small communities or a village. A king ruled each Viking community. Most Vikings were farmers. They grew barley, oats, rye, fruits, and vegetables. They also raised cattle, goats, pigs, and sheep. 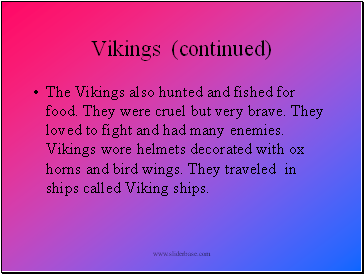 The Vikings also hunted and fished for food. They were cruel but very brave. They loved to fight and had many enemies. 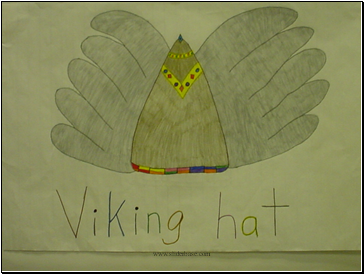 Vikings wore helmets decorated with ox horns and bird wings. 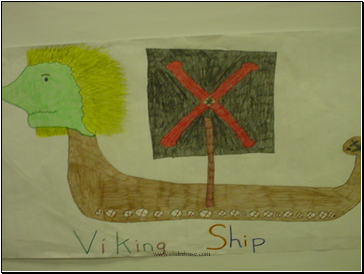 They traveled in ships called Viking ships. 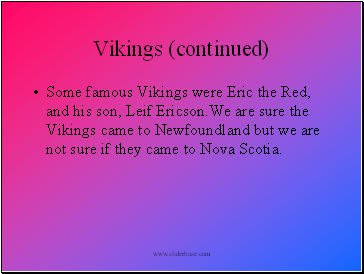 Some famous Vikings were Eric the Red, and his son, Leif Ericson.We are sure the Vikings came to Newfoundland but we are not sure if they came to Nova Scotia. 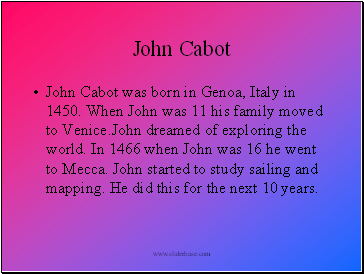 John Cabot was born in Genoa, Italy in 1450. When John was 11 his family moved to Venice.John dreamed of exploring the world. In 1466 when John was 16 he went to Mecca. John started to study sailing and mapping. He did this for the next 10 years. 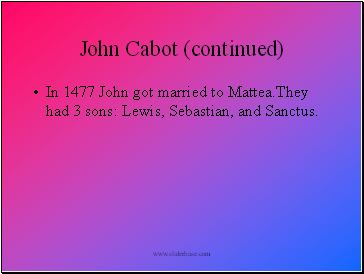 In 1477 John got married to Mattea.They had 3 sons: Lewis, Sebastian, and Sanctus. 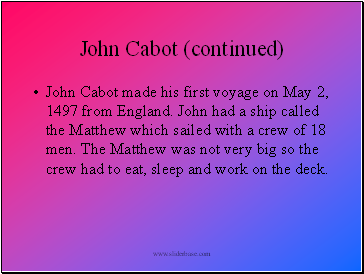 John Cabot made his first voyage on May 2, 1497 from England. John had a ship called the Matthew which sailed with a crew of 18 men. The Matthew was not very big so the crew had to eat, sleep and work on the deck.